Two Seasons Leamington Spa first opened its doors back in 2006, and is to-date the only true ski and snowboard stockist in the area. With everything to satisfy your skate and snow needs – from technical hardware to clothing and accessories – we’re your one-stop-shop for action sport. 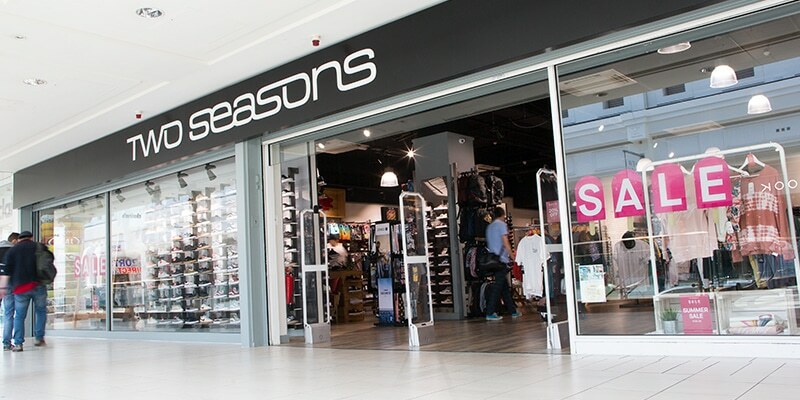 Here at Leamington Spa we’re most popular for our wide range of skate shoes, our current best-selling footwear are Nike & Vans, and when you visit our store you’ll see why. With a host of great premium brands such as Element, Billabong, RVCA, Oakley and many more, you’ll always find something you want to buy. Our fantastic range of boards promise to rejuvenate the inner skater in you, with brands such as Element & Penny to entice you with their colourful and classic board designs. Our amiable staff are always happy to help, with a broad knowledge of all of our products so there’s no need to fret, whether you’re searching for a particular board, or even a gift for a loved one, we’ve got you covered. Why not pop in today and see for yourself!